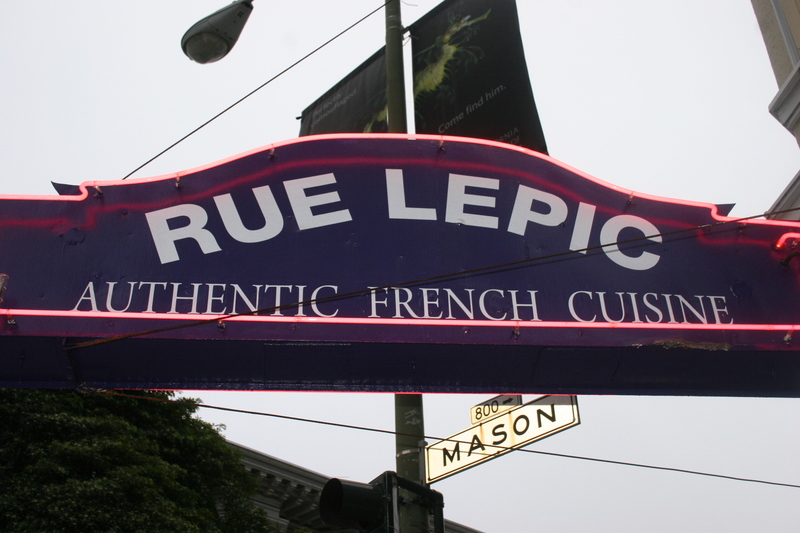 Our first night in California and we are going to Rue Lepic for dinner. 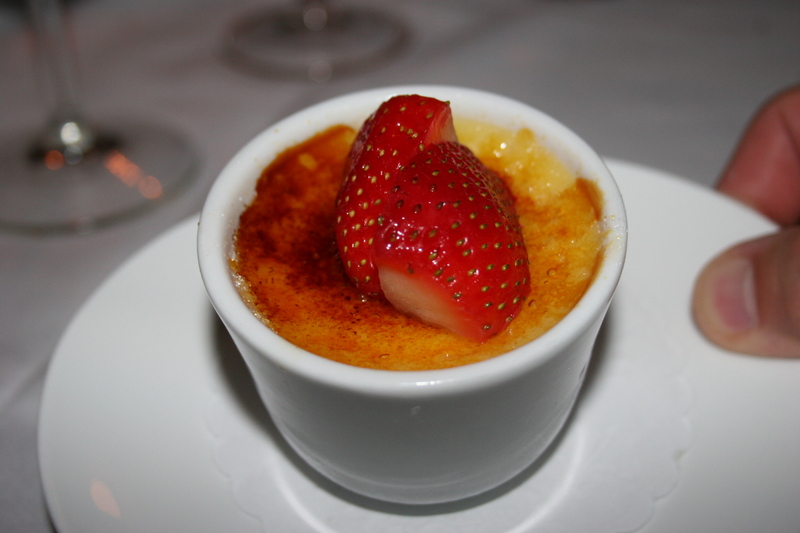 I found this French bistro on Trip Advisor and it had great reviews and was located just a block from our Nob Hill hotel. It was an easy walk downhill to the restaurant and a much tougher walk back up the hill after dinner. Rue Lepic doesn’t get a lot of talk on food boards but it had some excellent reviews and I had a hunch we were going to enjoy eating here. We had an early 6:00 P.M. reservation as we were all suffering from jet lag after our long flight from Philly and a five hour tour of the city. 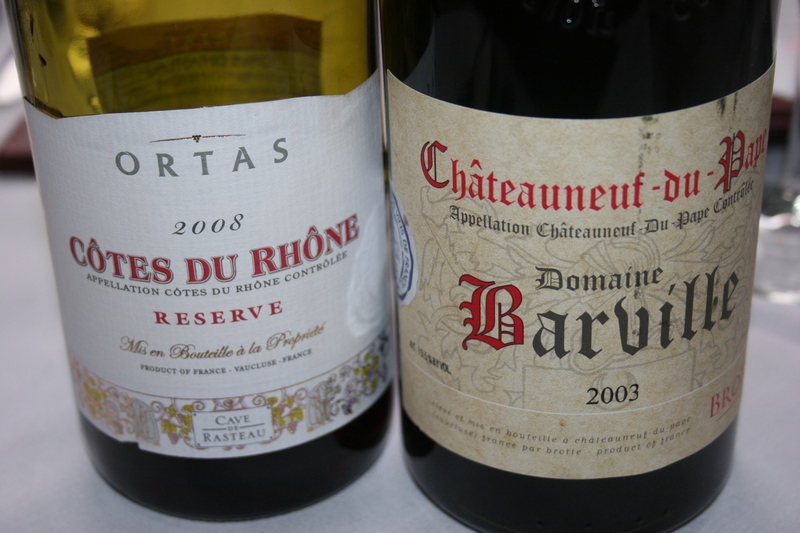 We ordered two French wines to go with our meal, the 2008 Ortas, Cotes du Rhone and the 2003 Domaine Barville, Chateauneuf du Pape. Both these wines were drinking nicely and complimented our food. The Chateauneuf du Pape getting a slight edge over the Cotes du Rhone for sheer drinkability. The menu at Rue Lepic, while not extensive, still contained some interesting choices. 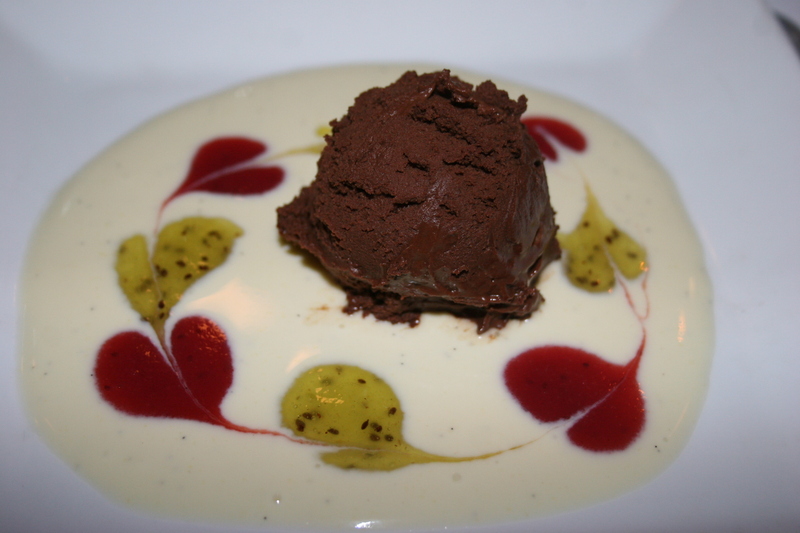 All of us made the decision to go with the Chefs Tasting Menu which included five courses for $45.95. 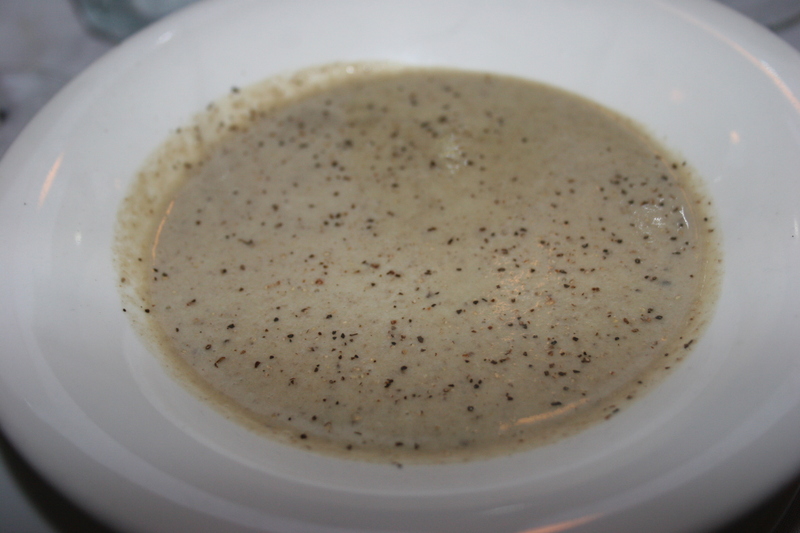 We all started with the Mushroom soup which was excellent even for a non-mushroom person like myself. 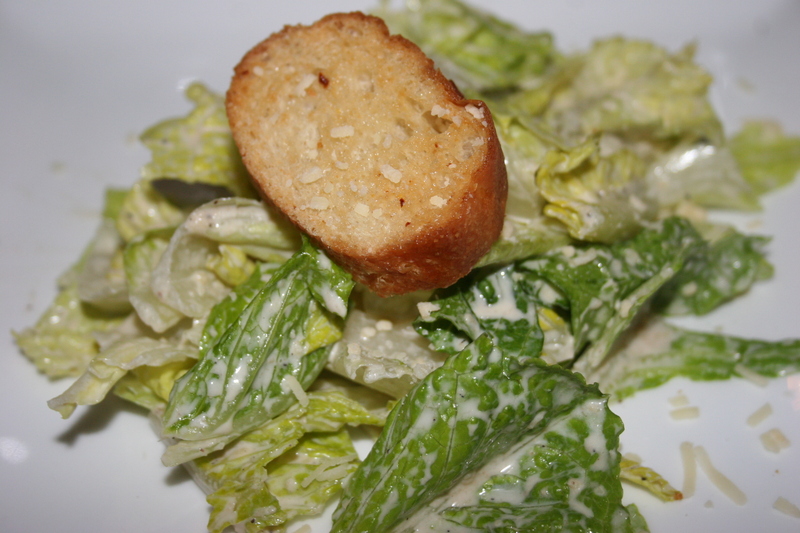 A Caesar Salad followed the soup and the lettuce was nice and fresh and the dressing had just the right flavor. 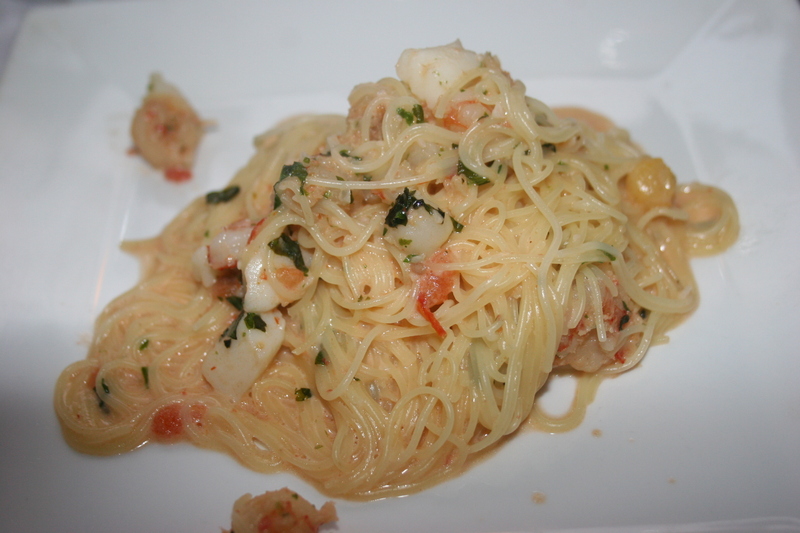 It’s been two weeks since we had this meal and I still have fond thoughts of our next dish, the Seafood Pasta. 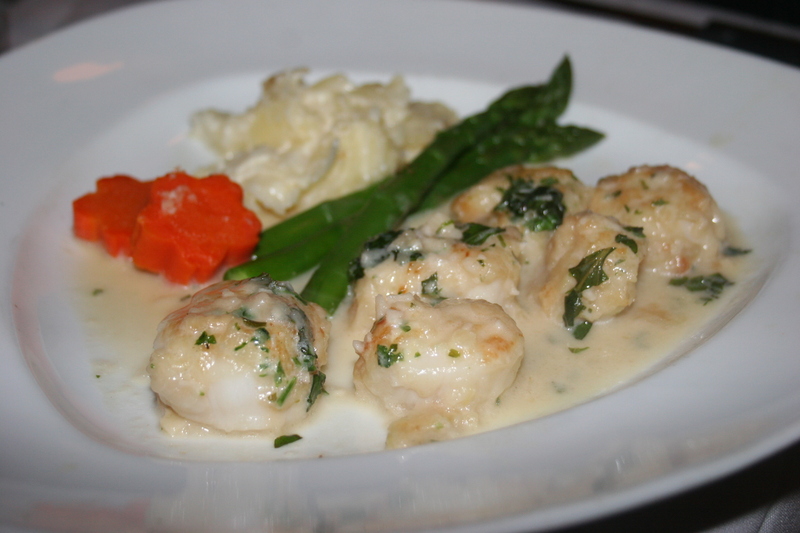 Shrimp and scallops tossed in a fantastic blush sauce over Angel Hair pasta. I could have made a meal out of this item. Everyone seemed to feel the same way as none of us left the tiniest scrap remaining on our plates. When it came to the main course we were split among three different selections. Two of us, myself included ordered the Grilled Chicken Breast with Rosemary sauce. It was served, as were all of the entrees with scalloped potatoes, asparagus spears and baby carrots. 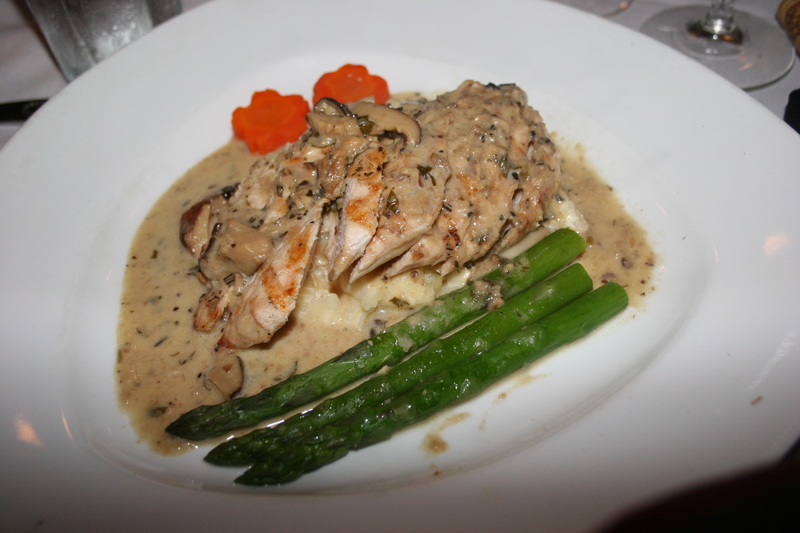 The chicken was done perfectly and the light sauce was just the right flavor for the tender fowl. I was delighted with my meal. 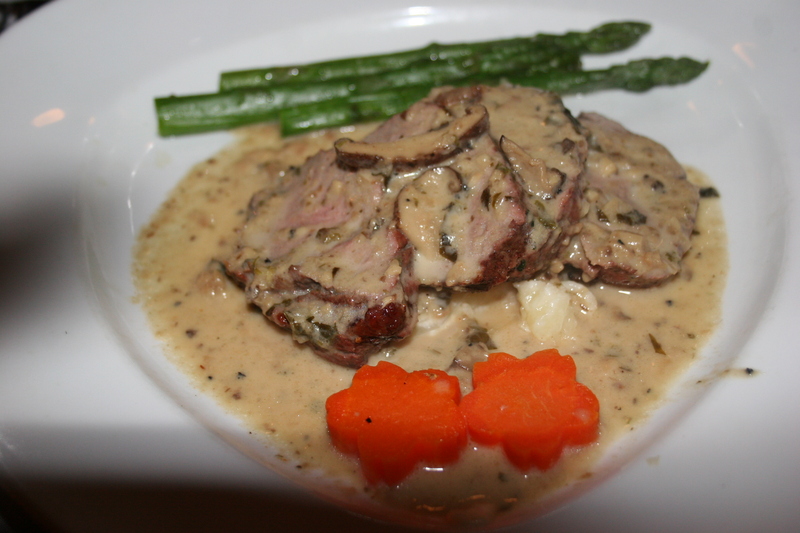 The remaining four were split on their choices with two choosing the Roasted Veal with a truffle and mushroom sauce and the other two going to the seafood side with Scallops in a creamy white sauce. 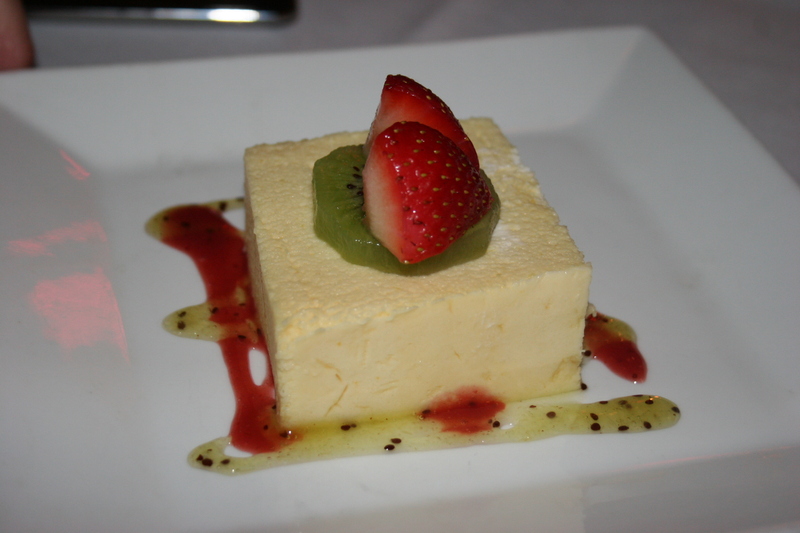 Everyone was very pleased with their meal and we topped it off with a trio of excellent desserts. Some of us were hoping to get the Fresh Peach Sorbet but it was off the menu on this evening. We settled for the Creme Brulee with berries, the light cheesecake with berry sauce and the final offering which almost looked too good to spoil the presentation. This one not only tastes delicious its fun to say…..it’s the La Ganache au Chocolat d’ Une Creme Anglaise Parfumee aux Fraises et Kiwis. Let’s not spoil it with a translation. It looked beautiful and tasted much like it looked. Just a terrific presentation.. Our first dinner in California set the bar for the others to come. Rue Lepic was a great find.